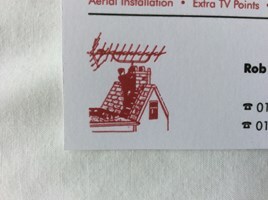 The Macdonald Aerial Company - TV Aerials/Satellite Services based in Whitstable, Kent. Established in 1985, we are a small family run business that offer a professional friendly service in Kent. Whether it be a complete new installation or a repair, you will have peace of mind as we give a 2 year guarantee on all our work. Why contact a National company that charge what they like and have no accountability when you can use a local company that cares and has been trading for 30 years with thousands of satisfied customers. Take a look at our website by clicking here! Gravesend, Longfield, Dartford, Meopham Whitstable, Faversham, Hearn Bay.